Brought together below are links to material that answers the most frequently asked questions about Walt Disney World. Note: these are not FAQ about this site itself. See How to Use this Site for…how to use this site! Hi Meg! I don’t really have an opinion, but I’ll reach out to some friends to see what they think, so check back here later! Hi Dave! We are coming for New Year’s Eve on Dec 31st, 2012. Two adults, two kids. We won’t arrive in Florida until 5pm. We’re staying at the Animal Kingdom Lodge. We’d like to make it for one of the celebrations that night. Will we be able to get into a park (any park), given closings, proximity to the lodge, etc.? Thanks! Let me say I am a huge fan of all of your hard work and dedication to this site its just outstanding! We are planning our first WDW trip arriving May 12-18, 2013. We will be staying on the Fort Widerness Campgrounds and will be taking full advantage of all the options of being resort guest but having trouble deciding on which days to go where. For example on the days that there are the extra magic hours for that particular day crowd levels would be a little higher versus normal hours with the influx of resort guests. Now should I also try to avoid those parks on those days or being a resort guest myself should I take advantage of the extra hours? Hi Jennifer and thanks! In general, avoid parks on days when they have extra magic hours, especially morning extra magic hours. Awesome sight…..I have been on it every day since we started planning our trip! Question for you on Photopass+…..do you think it is a good deal to get for a 4-day trip? For character meal photos, seems to me I remember we got a photo included in the meal price at Akershus a few years ago, so I’m not clear on what extra photos this pass offers? Thanks! Does Disney have a return policy in case something happens or someone is sick and we can’t go? I’ve looked and couldn’t find this information. I would like to know your thoughts on the Bipity Bopity Bo Salon. My daughter will be close to 9, and is a girly girl. I know she would like to be pampered and be made to look like a princess. I would just like to know your thoughts and if you think its a waste of time, or worth the price. Jennifer, honestly as a male with only sons I don’t get the BBB thing–which makes me particularly unqualified to comment on its value. I’m also curious if I made a basic itinerary, but when we got to the parks on our scheduled days, we could just go around the park in either a clockwise or counterclockwise fashion. I don’t see how running from one land to another will save us time. It seems like a lot more walking. We will have 9 adults, and two children (6,8). One of the adults cannot walk fast for long periods of time. We would like it to be a fun but relaxing time. this will probably be our kids’ only time to go until they are adults. Would it be beneficial to just plan for specific days and meals, but just wing it when at the parks? The only way to avoid extra walking is to devote a morning to each area with high-demand rides. 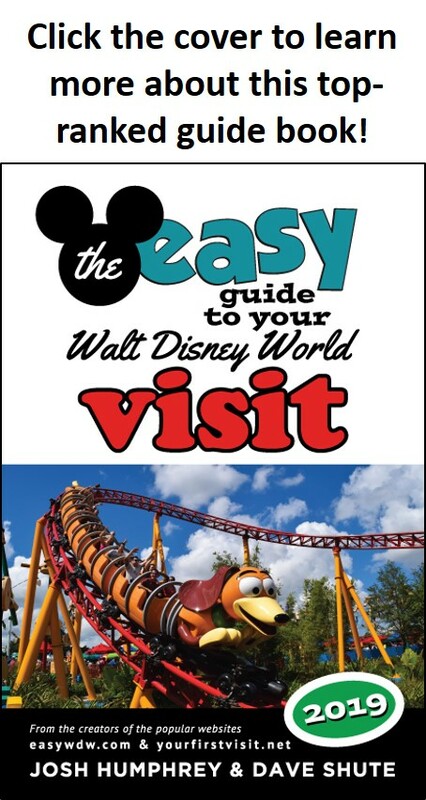 See the summer itinerary for an example of how this works: https://yourfirstvisit.net/2010/12/06/summer-itinerary-for-walt-disney-world-v2/ This itinerary only works on its recommended dates (here: https://yourfirstvisit.net/planning-your-first-family-trip/basic-itinerary/alternative-itineraries/ ) but you can adapt its principles to your own trip. You can also limit extra walking in the case of getting FASTPASSES by sending just one person to get the FASTPASSES. On the question about BBB…I have a daughter who has done that and Disney 365 at Disneyland on very visit for 4 years. She loves the whole experience. She likes it so much (she is now 8) that she saves her birthday/Christmas money for it each time. She loves the time in the chair and the attention she get after from people in the park. One of the times, she dressed in a costume. She loved it for awhile, but she felt restricted after a bit. We had a change of clothes, so she shed the dress. Is it worth the money? For my daughter, yes. If you are going to be in the park for more than one day, make the appointment for a later day and let her see it on the first visit and she can see if it is for her. That was how we did it for our daughter and what we have recommended to many. I must say not one of the kids we have sent has not done it and loved it. I would go with an appointment, though, so she is not disappointed. We schedule early in the AM, so they are not running late. It has worked well for us. Remember, she might not want to swim the day she does it – so plan accordingly. Thanks, Wendy, for your thoughtful comment! I would like to know your thoughts on the Water parks. We would like to go to them. We plan on being in Orlando for 10 days. How would you fit it in? Just go to one park? Both parks? Both on the same day? Heya Jennifer, they are fun, but not as fun as the theme parks. And if you see all that’s best at the theme parks, you’ll devote 6 days to them, and will also need some down time. So I’d prioritize the water parks third after the theme parks and days off. Hi Dave, I just had a question on WiFi. I read that there is wifi in the All Star Music resort, is there wifi in the 4 disney parks? We have booked November29 2014 for a week at Pop. Should include free dining on hist o rival dates, do you think we be better to upgrade to not pay difference between table service from all counter service? Planning a family vacation for 4 adults (two people in 60s and two in 30s) to Walt Disney World for Fall of 2015. Just wondering what your picks for best places to stay for adults and when during the Epcot Food and Wine Festival would be the best time to go, according to one site the last day is November 9th (Mom showed a big interest in the event). I know you recommended on the site that the week of November 7th is a pretty good time to go, would that be cutting it too close to the deadline of the festival? Or would we be better off going during the middle of the week before the festival is over, say getting in on November 4th? Also, in regards to a room, we’re not super tightwads but we don’t have a ton of extra cash to shell out either. So would you recommended a Value resort for adults or would a Moderate resort be better if we don’t have the cash for a Deluxe resort? Well, Theresa, since the true date won’t be known for a while I’d go during the last two weeks of October. That gives you lots of flexibility during some great weeks–see this https://yourfirstvisit.net/2013/12/08/2015-weeks-to-visit-walt-disney-world-ranked-in-order/ while avoiding Jersey Week. Mom is totally on board for switching to October, just in case. We’re planning on going to all of the parks, not just Epcot, but I know it’s just a shuttle ride away to the others. We’ll definitely be following the advice on the site to make the most of our vacation. I’ve been to Disney World twice with a friend (we stayed at places off site, which were fine for our needs), but this will be their first time going, and I’m trying to make this the best experience possible; and I certainly would like to have a comparison of what it’s like staying in an on-site property. Hi Dave, not sure where to ask this, so am doing so here. Does Bibbidi Bobbidi Boutique at MK usually stay on schedule? We have an appt at 10:40 AM and were told it would probably be over by 11:15. Then we have Cindy reservation at 12:20. We are hoping to go to Castle Couture in between to have pics taken of the child. My past experience with the Disney photographers is that they are really quick, only taking a couple shots. Does this seem like a reasonable schedule? They appear to be really close on the map. Thanks! Jane, I’m sorry but I don’t track it closely enough to have an opinion…but even if they are a little behind your overall timing looks fine! Dave, Great info and great job on links to others’ sites. We purchased the Platinum Plus Annual passes because we plan to use the water parks on our 14 days stay and our trip next year. I am confused about the Memory Maker included part of the PPAP. Do we get to download any or all of our photos without charge once we are home? WDW arrival countdown is 8 days. Yes, Cindy, that’s exactly how it works. When you do your multi-resort stays (which I KNOW are STRICTLY for business purposes ;-), do you use your own vehicle or the bus system or a combination of both? I’m really asking because we’re going to do a split stay in April, and the plan is to have bell services handle the moving of the luggage. Have you done this? I’m assuming you travel light, unlike the kiddo and me, and probably don’t need assistance on quite that scale, but thought I’d see if you had any advice for the heavily burdened such as ourselves. Jennifer, I always have a rental and schlep myself around. But having Disney move you reportedly works well!! I have to note that it is an incredible PIA to move so much–I treasure the days that I spend more than a night in a resort. But if I am to keep my reviews roughly current I have to. This week over 7 nights I will have been in 6 different rooms! makes complete sense – thanks – that is what we\’ll do!